Marketers can unify communications with Gold-Vision, a fully featured CRM solution offering functionality to bring together Sales, Marketing, Support, Projects and Events. 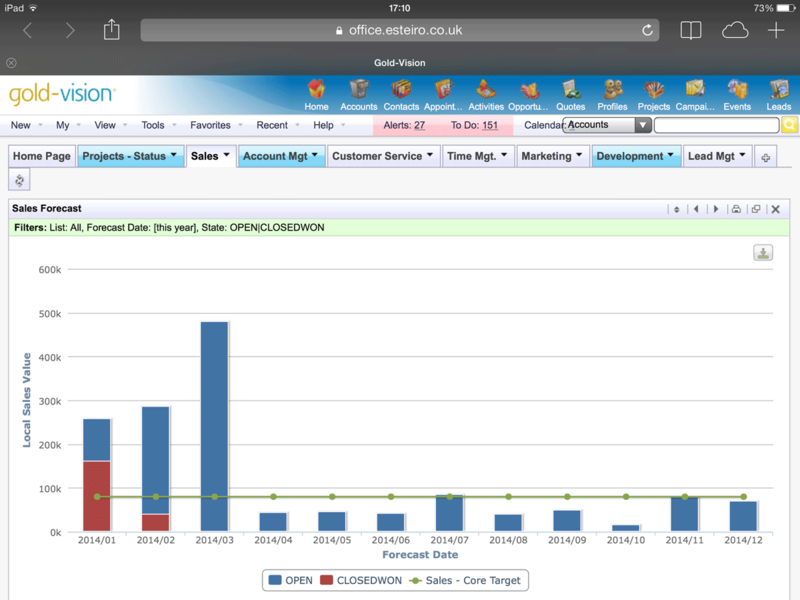 Gold-Vision allows users to manage relationships at every stage of the business lifecycle within one solution. Power lies behind simplicity, including a mail tracking facility which assigns emails and appointments to the right accounts within your CRM – automatically. Customers include British Chambers of Commerce, the Fuel Card Group, Rockingham Motor Circuits, Specsavers Healthcall and the Design Council. Esteiro Business Solutions is both the software author of Gold-Vision, and the organisation who implements & supports the CRM solution. Our teams’ background is based on business and systems experience, matched by technical knowledge. We work with businesses to build a solution which enhances existing processes and improves sales or customer service performance. 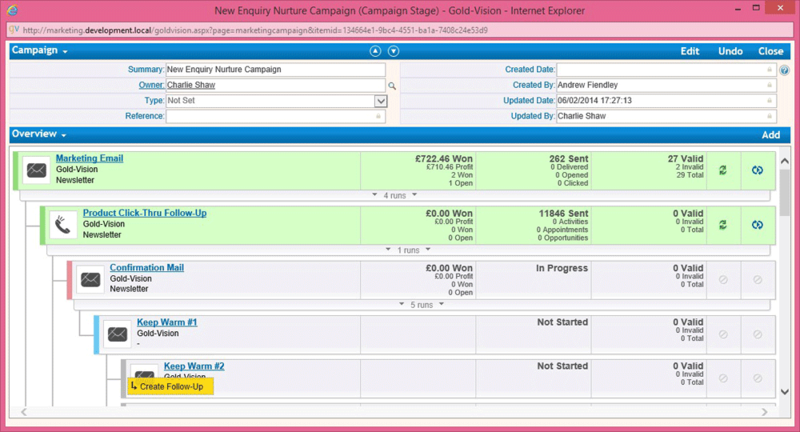 Are you looking for an Gold-Vision alternative for your email marketing? We listed some Gold-Vision alternatives. Gold-Vision offers a full and integrated service, with implementation and support teams that have the advantage of being able to speak directly to the software developers. The ability to create integrations in-house allows us to offer non-standard integrations and custom web portals, and you receive a one-stop support service.